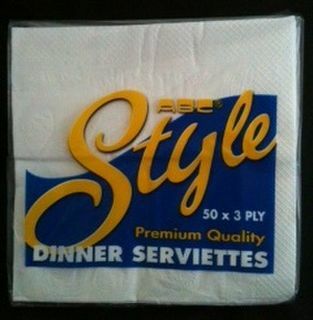 ABC Tissue make toilet paper, paper towels, tissues, serviettes, bed rolls and more. 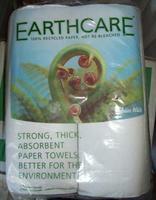 They sell products under the Earthcare, Style and ABC brands. Style Dental Bibs with poly back. Style 4ply Large Head Pad. White. Carton 4 x 250 (1000). Quilton premium tissues. 3ply. Cube box. Carton 12 boxes of 55tissues. Symphony brand facial tissues. 2ply. Carton 32 boxes of 160tissues. Carton 9 boxes of 160tissues. Interfold paper towels 'V' fold (folded in half).